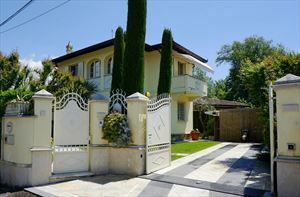 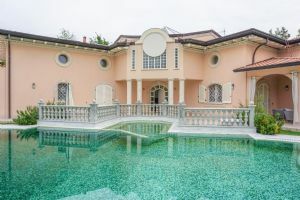 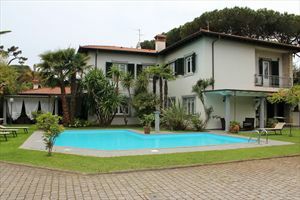 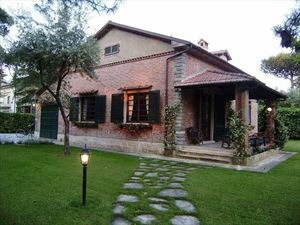 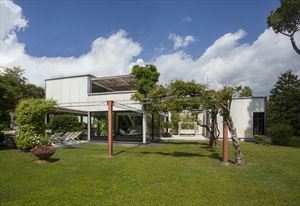 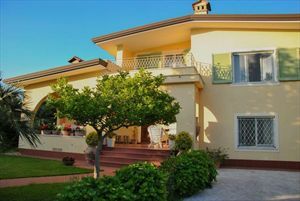 Detached house with garden is located close to the sea in a quiet area of Forte dei Marmi. 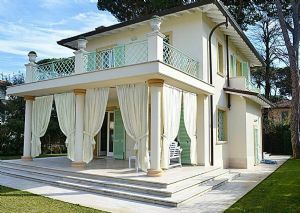 Equipped with air conditioning, alarm system, wireless Internet, satellite TV, electric gate and parking. 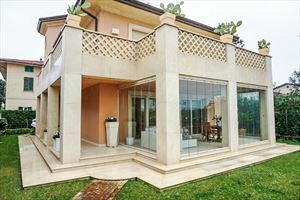 Ground floor: terrace with dining table, living room, dining room, kitchen, guest bathroom, bedroom with bathroom.